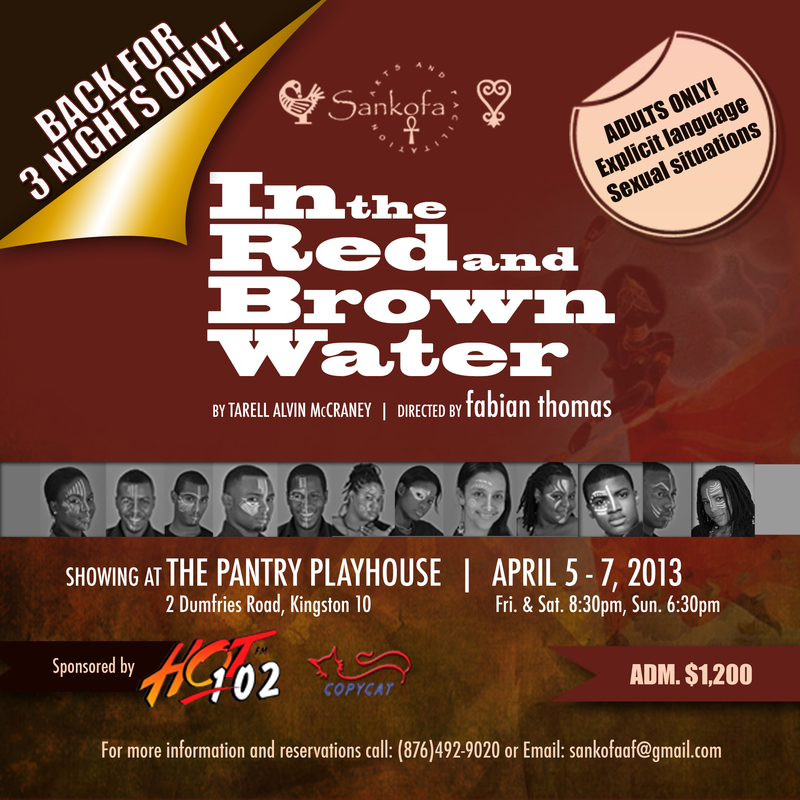 After a well-received Jamaican premiere and 2-weekend run, director/producer fabian thomas and his onstage team of twelve return to the Pantry Playhouse for 3 final performances of In the Red & Brown Water, Part 1 of Tarell Alvin McCraney’s ground-breaking and highly praised The Brother/Sister Plays trilogy. The return engagement will be April 5 – 7. In the Red & Brown Water tells the story of Oya, a young athlete who can run faster than anyone, but not fast enough to escape her fate. When pressed to choose between her dying mother and her dreams of escape, she makes a life-changing decision. Torn between 2 very different men and her all-consuming desire to have a child, Oya’s journey from the promise of youth to the complicated yearnings of womanhood is a joyous, raucous, moving and brazenly theatrical experience. “As soon as I read the book, I knew I had to direct them!”, thomas shares, referring to McCraney’s The Brother/Sister Plays which have been described as “dangerous, modern-day stories of kinship, love, heartache and coming-of-age”, while it has been said that the young playwright “speaks with authenticity about a world that is gritty and lyrical, urban and mythic. One of the most startling new American theatrical voices of the 21st century,”. The trilogy delves into the world of a Louisiana Bayou housing project, a landscape of hardship and dreams influenced by Yoruban mythology. Tarell Alvin McCraney is the recipient of several awards including the New York Times Outstanding Playwright Award. In addition to challenging himself, thomas has also challenged his actors to learn and adapt the Louisiana accent which the play’s script and location require. 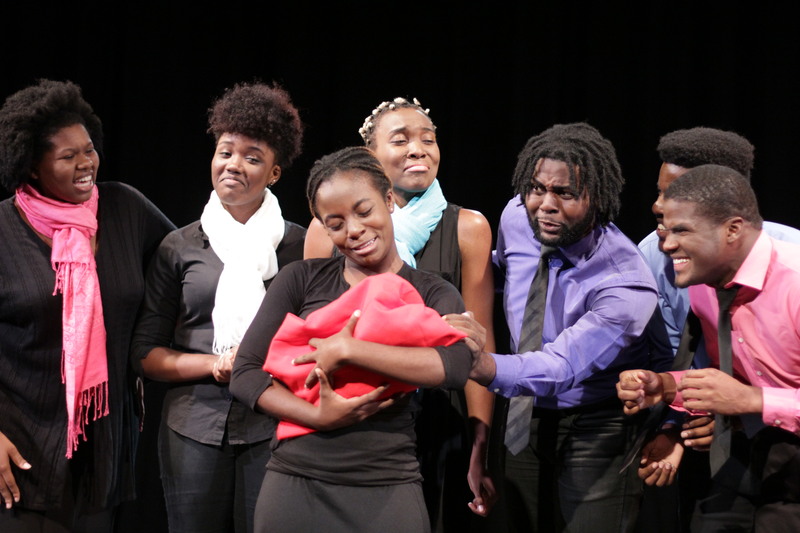 Returning to tell this powerful tale on stage are Shanique Brown, Damian ‘DJ’ Shaw/Hanief Lallo, Sean Bennett, Ramone Gordon, Shawna-Kae Burns, Noelle Kerr/Rushae Watson, Shantol Jackson, Susie Braham, Ricardo Barrett, Kevin Nelson and Cameal Davis. The production has an ‘adults only’ advisory, due to explicit language and sexual content. HOT 102 and Copy Cat have sponsored the production. debating what ‘Bi-Monthly’ actually meant. I’m surde you knew that already ). I really hope to view the same high-grade content by you in thhe future as well. interesting companions for many occasions and requirements. and the happy-go-lucky nature often brings peace for the battles between Darry and Ponyboy. Though students may be deterred from this kind of commitment, colleges always encourage it. People within this group are extremely uninhibited and take part in all the activities. interested in someone. Games can stretch on from days to weeks, so you can casually play a move once in a while without losing interest. from the game, however, consequently potentially pushing back other content updates; so some frustration is understandable. When you upload any pictures or record any videos they are online forever. want a store that stocks up on just the most recent type of dresses.